April was a pretty good month for me overall. Didn't get as much read as I would have liked but one week was pretty much taken up with my fantastic Vegas trip. I've also officially joined a crit group online as well as found another crit partner- I've got my little addict boy in a place to start taking feedback and seeing what else I need to do on him. I'm both excited and scared for this but it's certainly worth it. Otherwise, my April was taken up still running the ARSON blog tour for Estevan. It's been going really well we both think and to those of you who either helped or followed along, thank you immensely. The book officially comes out Tuesday, May 4 though it is available now from Amazon, B&N and the pub. Head to your local bookstores to tell them to order it! That's pretty much it for my wrap up- I hope everyone else had a great month! A magnificently weaved tale of magic and lore, Thief Eyes spins a new twist on sorcery. Pulling in several elements in unexpected ways, Simner has created a piece that is both refreshing and engaging. Set in Iceland and heavy on the culture and land, there are numerous unique aspects of this book. Starting with a prologue that will capture the reader’s attention and spark many questions, the book spends only a small amount of time settling in before the action picks up and the plot really begins. Though she came to Iceland to try finding her mother who disappeared a year earlier on a visit with her father, Haley ends up learning far more about her mother’s disappearance and her family tree than she ever imagined possible. Throughout, the reader learns each new element at the same pace Haley does with little clues in advance to give insight. Haley’s character is one that can easily be understood and though the story picks up before the reader can really come to know her, the basic facets of her personality come out with each new event and obstacle she faces. This brings in a distinctive feature of the book, as the reader actually meets Haley in times of stress and completely foreign situations rather than seeing a shift between how she acts in a comfortable setting before being thrust into something new. The overall result is a strong heroine who isn’t afraid to show fear and is full of doubts yet still finds reasons to push forward. She is a character who doesn’t roll over but is also not overly confident. Ari is developed in the same fashion, allowing the reader to learn about him under the same taxing circumstances as Haley. Though he does hold some of the same traits, this is borne out of their common situation rather than lack of insight from the author. They find strength in each other and keep the other going, forming a strong bond and companionship that could only be forged under the circumstances. Had they spent more time together prior to being thrust into this world of magic and confusion, the final outcome of their relationship could very well have been different. The plot is well developed and thought out and though the pace is start and stop there are plenty of curveballs thrown. Romance is mixed in, cropping up at unexpected moments and providing some relief in the midst of the rough situations. Simple in nature once exposed, Simner’s writing keeps much of the secrets hidden until revealing at perfect times to surprise the reader as well as keep the pages turning. With vivid descriptions and a highly imaginative world intermixed with modern Icelandic geography and culture, Simner has built a piece that will stand out and is a must read. Jill Jekel has always obeyed her parents’ rules – especially the one about never opening the mysterious, old box in her father’s office. But when her dad is murdered, and her college savings disappear, this good girl is tempted to peek inside, because the contents just might be key to winning a lucrative chemistry scholarship. To better her odds, Jill enlists the help of gorgeous, brooding Tristen Hyde, who has his own dark secrets locked away. As the team of Jekel and Hyde, they recreate experiments based on the classic novel, hoping not only to win a prize, but to save Tristen’s sanity. Maybe his life. As things heat up in the lab though, Jill’s accidental taste of a formula unleashes her darkest nature and will compel her to risk everything – even Tristen’s love – just for the thrill of being… bad. A surprisingly simple premise, Fantaskey does a phenomenal job creating a modern Jekyll and Hyde. The explanation of how these families came to be is fantastic yet clear and easy when explained. Despite this basic level, this book keeps the reader involved and thinking, providing humor and entertainment in the midst of the events. Jill is a smart and clever girl, focusing on her studies and flying mostly under the radar at school. Though her best friend is one of the beautiful, popular girls, she doesn't fall into that category. Despite this, she is not a mundane or boring character, offering surprising insights to both Tristen and the world in general. She is someone the reader can empathize with and someone who, while she does have her moments of bravery, also harbors moments of pure weakness mixed in with those of subtle fearlessness. Her reactions, while not always consistent, are understandable and explained each time and she develops beautifully throughout. Tristen, as implied by the simple connection they hold merely due to their names, compliments her in surprising ways. He also is a strong character despite his violent side- one he tries to fight and certainly sparks a debate about his nature and relationships with a "violent person". Despite the violence, Jill tends to stay with him and support him but can he truly be at fault when it is something inherent and beyond his control? What about if he doesn't choose to remain violent but has no control over it? In small doses, this notion is brought forth throughout the book, sometimes in surprising ways. Tristen shifts between being frustrating and possibly even terrifying to being tender and sweet and someone any girl could fall for. He has a nonchalant, laid back air about him though his other sides are also shown. Written in alternating perspectives, Fantaskey gives the reader direct insight into both the minds of these two characters- in their good times and their bad. She weaves the switches together smoothly, never leaving the reader behind or feeling as though something was missed. Secrets are still kept and the mystery builds despite a wider range of view and Fantaskey's writing is fluid and practiced. Though the overall style remains the same between the first person perspectives, each character's personality and habits come through strongly. The pacing throughout is steady with few places where it seemed to lag. Secrets are unfurled and there are several unexpected twists scattered throughout, leading up to a thought out and fantastic ending. At the close of this book, the reader will be left with conflicting thoughts despite a comfortable feeling and though the outcome might seem obvious, it takes on surprise in its own way and is not entirely predictable. Just a heads up to all my awesome readers.... I'll be posting several contests in the next few weeks: two this week and two the following as of right now. Be sure to check back for them so you don't miss out! If you haven't yet, also make sure to enter to win a copy of ARSON by Estevan Vega both here on my blog as well as at Lost For Words, ending May 4. If you don't want to wait, the book is available now with both Amazon and B&N and absolutely worth the money! Even better- both sites have it on sale right now so I suggest you get it while you can! Finally, Flippin Pages for All Ages and Wastepaper Prose are throwing a big joint contest right now as well with 21 winners for various swag and book prizes so check it out here. That would be it for my contest related stuff.... also just to say, all my readers rock. I <3 you. A murder mystery set years after the suspect begins serving a life sentence, Bullet Point thrusts forth many questions and theories, engaging the reader early on. Wyatt has never known his biological father. In fact, until things start being churned up, Wyatt has rarely asked questions and doesn't even know which prison houses his lifer dad. Watching Wyatt face a series of unexpected and difficult situations, this book is a study in character development as much as it is a thrill ride. This is definitely a page turner, amping up the suspense. Wyatt starts out as a strong main character, a mostly average teenage boy living in a town that's going nowhere. His main shining hope is baseball, particularly since his grades are nothing stunning. As the plot progresses, however, Wyatt's innate cleverness and reasoning skills become both evident and honed. He learns plenty of new things about himself and grows exponentially in both his maturity, his interactions with people and in the way he views the world around him. There is a very obvious shift in his overall frame of mine, pushing him from a high school kid to someone who has seen things others go through their entire lives without ever facing. The effect it has on him is striking and brought forth, leading to a very memorable ending. Greer is snarky and independent, adding spark to both Wyatt's world and the plot itself. She is difficult to explain without giving too much away of the plot but she plays a central role in both Wyatt's personal development and that of the plot. She is a very memorable character even if moody, rapidly shifting in her reactions and emotions. With each new turn, Greer will spark conflicting and uncertain emotions in the reader, raising many questions and tugging them on the same inexplicable and tumultuous ride she takes Wyatt on. Three years older than Wyatt and out of high school, living on her own, Greer pulls Wyatt into a relationship that will leave the reader questioning its health and effect on him. At two separate points in their lives- and with two different pasts- they tear at each other and combat as much as they come together and care. Though this book is written in third person, it stays central to Wyatt and the reader learns things as Wyatt does. The writing itself is unique; Abrahams has created a voice that I associated strongly with Wyatt despite the lack of immediate insight. If Wyatt were to write, this style is how I imagine it and that facet alone speaks a tremendous amount about Abraham's writing ability. I highly doubt another novel at the hand of this writer will follow this same dialect and trend. Throughout, clues are given and leads are opened regarding the truth behind Sonny's possible innocence, engaging the reader further. I would develop a theory only to have more holes and questions be put in which also brings up another, more subtle aspect of this book- the idea behind "reasonable doubt." Abrahams has masterfully weaved a story which leaves the reader questioning in multiple ways if Sonny really should have been in prison or if he truly is one of the innocent men condemned to a life in prison. It isn't until the end of the book the reader can come to any decision on this yet Abrahams pitches it in a brilliant way that will still leave confusion and mixed emotions. Once things with Sonny become involved in the story, the pace speeds up and things move quickly. From teenage detective work to visits during allotted hours with Sonny himself, Wyatt wades through an entirely foreign world to him while trying to learn what he can, figure out his conflicted feelings on multiple things, and get to know the man who helped bring him into this world whom he has never known. Overall, Abrahams doesn't mess around with his writing. Things are straight to the point with little filler. Once a decision is made, within a paragraph or two things are dealing right with that- no in between, wasting time with this book which helped add to the overall effect of who Wyatt was and how his mind worked. Overall, this is a fantastic take on the murder mystery style as the same burning curiosity that would be present whether this was written right after the actual crime or years later is ignited. With strong characters, fluent and stylistic writing, and numerous shocking twists, Abrahams has certainly created a hit with this one. All these events lead up to a very shocking ending that leaves the reader thinking not only about the outcome but the underlying implications and potentially even some transference into their own lives. Not a bad week at all for me review wise- several titles both YA and adult. I am even quoted in one, which was absolutely amazing to discover! I had done a review of another book by the author back in January and they published part of it in this book- Crossing The Bridge by Michael Baron which was also a fantastic book. Great feeling! I did pick up just a few titles at Half Price- that place is dangerous but I wasn't too bad. That was my week- definitely an exciting one! I'd love to hear what everyone else got! This week I've settled on Amy Efaw, the author of after. 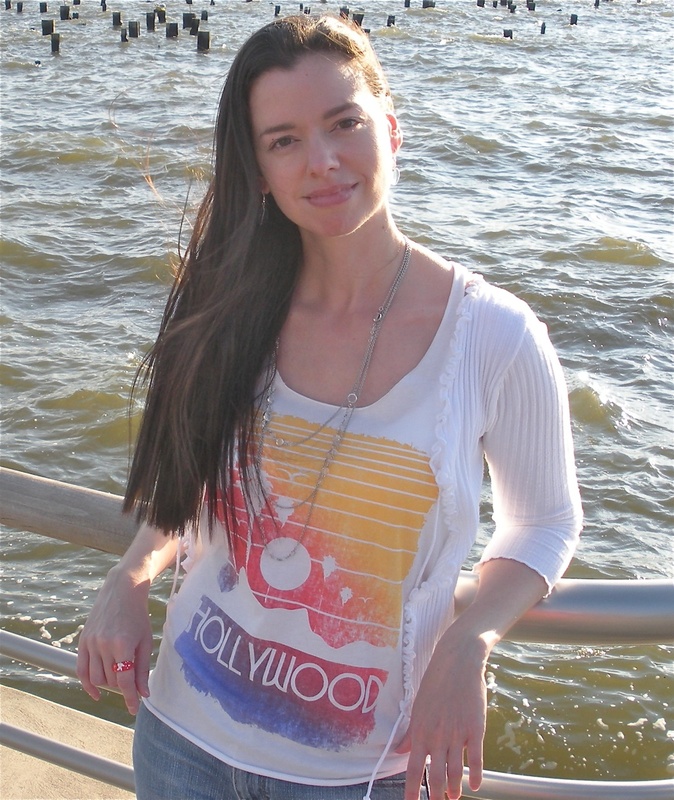 After making her debut into the writing world with a book centered around her experiences at West Point, Amy spent 7 years juggling her five children and working on After- a stunning novel centered around infant abandonment in trashcans. Her road to becoming a writer is most definitely unique, having met her husband at West Point and balanced being newlyweds with owing the army 5 years of service after graduation. There's also those five kids that started making their appearance, even before her Active Duty was up. Personally, I think her story is amazing and the fact she finds time to write, be a good wife and raise five kids is amazing. Not to mention the rough topic she chose to tackle for After. Want to know more? Check out Amy's Website. This week's pick is Hunger by Jackie Morse Kessler, hitting shelves October 18, 2010 from Graphia. Traveling the world on her steed gives Lisa freedom from her troubles at home—h er constant battle with hunger, and her struggle to hide it from the people who care about her. But being Famine forces her to go places where hunger is a painful part of everyday life, and to face the horrifying effects of her phenomenal power. Can Lisa find a way to harness that power—and the courage to fight her own inner demons? My Thoughts: I really love the idea behind this, tying something serious like anorexia in to the Four Horsemen. The cover is also very catching, hinting at the fantasy aspect of this book. I certainly can't wait to see how Kessler plays this one out and the way she twines the two facets together. Becca has been head-over-heels for Alec from the instant they met. He's a brainy jock with a poet's heart—in other words, perfect for her. Camille is careful with her words and protective of her heart, especially since Chicago. Then a new boy in her new town catches her off guard with a surprise kiss. Too bad that new boy is Becca's boyfriend, Alec. Camille and Becca have never met, but their lives will unravel and intertwine in surprising ways as they deal with what happens after the kiss. This is a beautifully weaved take on a love triangle type situation, pitched through alternating points of view that are connected in an invisible way. Though it took me a little to really get into the novel, it was well worth it. Camille and Becca have separate lyrical styles, one more prose than the other but it certainly helps paint their overall unique perspectives. The pacing, first and foremost, is unique and endearing. Some events that are classically elaborated on in most books are instead surpassed here, letting the reader know what happened without going into detail. Things rush unexpectedly before slowing again, helping to create the overall feeling of being overwhelemed with events and unsure how to respond. This particular facet did not come across as choppy, instead drawing the reader in more and forcing attention to keep up with the sometimes rapidly occuring events. Despite the two points of view, there is little retelling and choppy overlap and changes. These are two separate stories, twined together because of Alec without either girl knowing the other before his actions. Even after said kiss, the two girls remain strangers, showing the mayhem on each side and pitching each in a vulnerable, victim type light without one girl being particularly in the wrong over the other, at least within each perspective. Though this book is in lyrical form, each girls' personality comes out strongly, creating the overall picture of who they've become over the years, their home life, and their habits and drives. 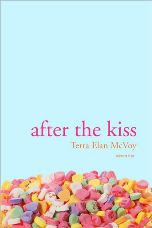 McVoy does a phenomenal job keeping them separate yet together, allowing the kiss to take place early in the book and showing in sometimes great and other times vague detail the aftermath. The most notable aspect of this book is the manner in which McVoy chose to bring these two girls together, putting them face to face despite what happened and continuing to play the events out. Her final outcome was surprising and beautifully played, as was Alec's ultimate ending of the story. Despite the dual perspectives, McVoy brought forth each girl's mentality and pulled the reader in to them through her strong writing even in a lyrical setting. With the many unique elements added in, even with a commonly used love triangle type premise, McVoy has created something that will stand out and engage the reader. 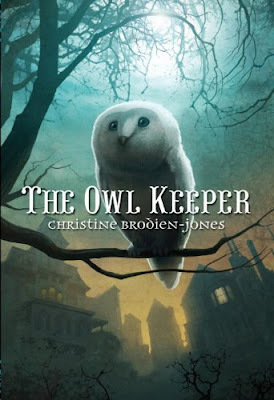 Today's teaser comes from The Owl Keeper by Christine Brodien Jones. 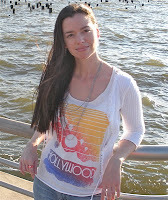 There is also going to be a chat with her on my book forum tonight at 630 CST (730 EST) so be sure to stop by! Summary: Maxwell Unger has always loved the night. He used to do brave things like go tramping through the forest with his gran after dark. He loved the stories she told him about the world before the Destruction—about nature, and books, and the silver owls. His favorite story, though, was about the Owl Keeper. Here to promote her recent release Palace Beautiful is Sarah DeFord Williams, the author behind this book where the past and present collide. AGA: Describe Palace Beautiful in five words. SDW: After sadness, joy always reappears. AGA: What was the initial scene or idea that sparked the rest of this book? SDW: I think there were several scenes and ideas that sort of floated into consciousness that started this book. I suppose the main one was a question--what happens after the worst thing of all happens? I was going through a hard time and there was a chance that I might loose the things that meant the most to me through no choices of my own. I made a character in a similar situation. I wanted to know what happens down the line after the worst thing happens. Through writing this book I found out. When the worst thing of all happens and things are never going to be okay again, eventually, there is a new kind of okay. I learned that we are more resilient than we think, and that time is also a healer. Life moves on and eventually, there is a new okay. It was a beautiful discovery. AGA: How much research was involved to write this book, particularly Helen's story? SDW: LOTS! I had never heard of the 1918 flu four years ago when I started this book. My husband mentioned it and told me about it and I wondered why in the world we don't ever hear about it. I started researching. It was so fascinating, I had to put it in a book. To research it, I went to the library and went though microfilm of every single Deseret News for the year and a half duration of the flu here in Salt Lake City. It was exhausting, sometimes depressing, but utterly fascinating work. I also did a lot of documentary watching and article reading on the subject. AGA: What was the hardest part of your to write? The most rewarding? SDW: The hardest part was also the most fascinating part--the flu research. The parts I didn't like about the research were when I had to learn just exactly how people died of it, and how the experience impacted communities, families and individuals. It was gruesome and depressing. I was very glad to be done with parts of that research. The most rewarding was the last few drafts I did. When I write books, I want to make a book that I would have loved as a little girl. I love a bit of mystery, prose, suspense, interesting characters and a strong sense of place. When I am writing, I generally just see my book with critical eyes. The last few drafts, though, I was able to see what I actually accomplished. I remember sitting at my computer reading though it one day and thinking, this is EXACTLY what I would have loved as a little girl! I did it! Yes! AGA: Is there anything autobiographical in this book or is it purely fictional for you? SDW: I use myself as a base for a lot of the characters I write because I can't go into other people's heads, but I can go into my own. Sadie and Bella both have autobiographical elements for me. On the literal side, I lived in Texas and moved to Utah like they did and there are other details like that, that were based on my personal experience, but on the psychological level, I am a lot like parts of both characters. AGA: If you could pair Sadie and Zuzu with any character from any other book, what would be your pick for each of them? SDW: Do you mean are they like any other literary characters? Or do you mean what literary characters would they go well with? If it's the first, then probably Cassie from Sarah Plain and Tall, and maybe Margaret Dashwood from Sense and Sensibility. If it's the second, possibly Fredrich from Little Women and maybe Laurie also from Little Women. AGA: Are there any authors who have influenced your writing? SDW: Yes, I love classics and I think I have a rather old fashioned voice in some sense because I spend so much time with the Bronte sisters, Jane Austen and the like. But I think I really started to understand voice from the S. E. Hinton books. I was obsessed with them when I was in middle school and I still LOVE them. I think those books taught me the most about how to write. AGA: What is the latest YA you've read? 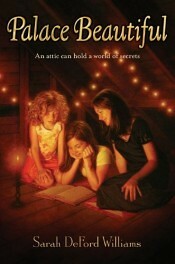 SDW: Magic Under Glass by my friend Jackie Dolamore. She and I are both huge Bronte fans and her book is a kind of steampunk fantasy book based loosely on Jane Eyre. Sigh, I love Jane Eyre! Thank you Sarah for stopping by and don't forget everyone, Palace Beautiful is in stores now so check it out! I have to admit, after the captivating first two books, this last installment left me wanting and disappointed. Although there is a companion series planned, this book has left many lingering questions that don't seem easy to answer in something that isn't centered around Chloe. While reading, I loved this book as much as the others and it pulled me in from the start but the ending came fast. 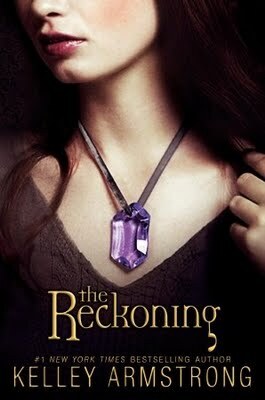 Chloe grows tremendously in this book, finishing the development she started in The Awakening. She learns how to handle many situations in a better way than when first introduced and it made for a very connecting part of the book. She continues to be a character that can be related to, powers aside, and overall remains a memorable and unique personality. Derek and Simon also continue to develop and grow, showing more sides of them to the reader and building their bond and connection with Chloe. The interaction between the three continues to hold a strong part of the book, keeping the reader engaged even in the times where the action slows. Derek is an especially intriguing character, a mix of frustration and understanding that is intertwined in an expert way to draw the reader towards him. This plot moves at a pretty steady pace with plenty of advancement even while the characters are waiting things out. The mysteries build in the first two books come back up but while some are smoothed out, others are left open and a few new ones are added in which contributed greatly to the overall disappointment I felt at the end of the book. In truth, I think one more book would be needed to finish Chloe's story- this one simply felt too open even for me. Armstrong's writing remains strong, painting vivid pictures but keeping with Chloe's character, mannerisms and style that has been built up in the first two books. There is never a dissonance there and I didn't find Chloe to ever slip out of character. The other characters also showed their own personalities even through Chloe's eyes and they were all succinct and unique. Overall, another engaging page turner but for a final installment, it fell short for me. I look forward to the companion series, however, as well as the upcoming online novella Armstrong will start posting in May. This is still a series I would recommend for the bold characters, strong writing, and unique plot and premise. I will be emailing you 6 very shortly- you have until 8 pm CST Monday night to get back to me or we will be drawing another winner. Congrats and thanks again to everyone who participated! If you haven't yet, enter here for your chance to win a copy of Arson by Estevan Vega- this is certainly a book as hot as these YA titles and one you don't want to miss! Want it now? Order it from the publisher. That was my week.... what did everyone else get? They tell me I'm lucky to have a son who's so verbal, who is blisteringly intelligent, who can take apart the broken microwave and have it working again an hour later. They think there is no greater hell than having a son who is locked in his own world, unaware that there's a wider one to explore. But try having a son who is locked in his own world, and still wants to make a connection. A son who tries to be like everyone else, but truly doesn't know how. Jacob Hunt is a teenage boy with Asperger's syndrome. He's hopeless at reading social cues or expressing himself well to others, and like many kids with AS, Jacob has a special focus on one subject--in his case, forensic analysis. He's always showing up at crime scenes, thanks to the police scanner he keeps in his room, and telling the cops what they need to do...and he's usually right. But then his town is rocked by a terrible murder and, for a change, the police come to Jacob with questions. All of the hallmark behaviors of Asperger's--not looking someone in the eye, stimulatory tics and twitches, flat affect--can look a lot like guilt to law enforcement personnel. Suddenly, Jacob and his family, who only want to fit in, feel the spotlight shining directly on them. For his mother, Emma, it's a brutal reminder of the intolerance and misunderstanding that always threaten her family. For his brother, Theo, it's another indication of why nothing is normal because of Jacob. And over this small family the soul-searing question looms: Did Jacob commit murder? 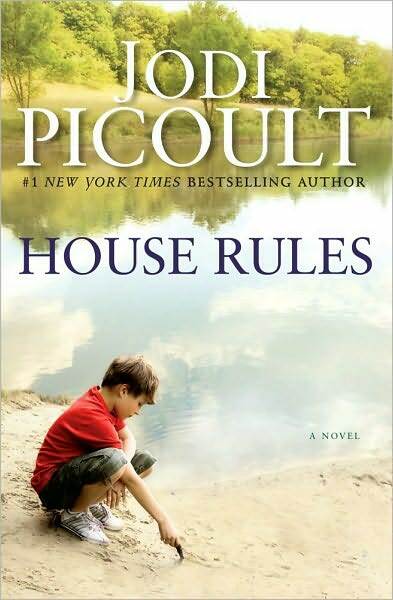 Emotionally powerful from beginning to end, House Rules looks at what it means to be different in our society, how autism affects a family, and how our legal system works well for people who communicate a certain way--and fails those who don't. Bold and insightful, House Rules offers a very compelling look into the life and mind of an Asperger's teenager. Picoult does a tremendous job not only portraying the way Jacob functions but how it effects his family as well. His isolation from the world- not entirely by choice- comes up often, making the notion that these kids don't just want to be by themselves, they simply don't know how to be around others. From a mother's intense love to a brother's growing frustration, Asperger's is a family diagnosis rather than an individual one and this is played throughout. Jacob is a very unique character- insightful in a striking way and brilliant, he is also set off by the things neurotypical people wouldn't pay even a first glance to. Despite knowing the world might not fall apart, his brain is programmed to believe it is and he reacts accordingly. Through these meltdowns, shown primarily in the mother's perspective, the reader can really see how hard these things are to witness as well as the aftermath of how Jacob behaves and what he has to do to calm down. His interpretation of the world is very different from what most people view and Picoult also does a remarkable job showing this as well as the hallmark flat affect these kids have. Emma, Jacob's mom, is another stunning character who is a single mom of two who has put all of her time and energy into trying to keep her son from becoming the catatonic and nonfunctional boy he was at the initial autism diagnosis. She struggles to balance her two boys, her work, and her life in general and the chapters from her perspective really help drive home much of what happens when a family member has Asperger's. This is a character that will make you think, even sometimes question her actions, but the underlying motives are always visible. Theo, the brother, is the odd man out and the way this manifests becomes increasingly heartbreaking. Chapters from his perspective continue to build the Asperger's world but show, a little more, how someone can be left out in light of a meltdown or because wanting to do something could cause a meltdown. His life is severely affected by Jacob's condition and this was an integral part to the overall story. I admit, with this book, I did figure out most of what happened with the murder and whether Jacob was guilty or not despite the evidence pretty early on. Though it was disappointing, with this book particularly, the "Who Done It" was not nearly as important as the fact that Jacob simply cannot communicate effectively enough, particularly in court, to get across his side of the story. A deadpan voice and an unemotional expression will do nothing to back up his words to a jury unintentionally driven by emotions. Picoult has done, as usual, a fantastic job showing the underlying message and theme of her book and the murder was a back plot- the event that sparked the rest of the book and brought forth questions of our legal system. In addition to the three characters above, the reader also gets to see into the minds of both the detective and the lawyer and those combined and changing points of view helped to give clues for the truth to be pieced together. Though I had figured it out, Picoult laid the framework for the reader to pull it together which ended up allowing me to focus even more on the Asperger's aspect of the plot. This is one that will stick with you, Jacob in particular. He will both bring laughter and heartache and he makes for a very memorable character. Overall, Picoult has written another hit. Her writing is strong and the concept bold, played out beautifully and masterfully. If for no other reason, I recommend this book because of the look into Asperger's it gives- and the compassion and understanding it can help build towards this disorder. Though Jacob certainly did not become very high functioning on his own- his mother played a tremendous role in that even if it meant Theo was unintentionally pushed aside- he has learned ways to navigate the world and things to do in an effort to fit in which is certainly something he wants. This is a very shocking premise played out in a very heartbreaking, secret revealing manner. With a contrasting cast of characters, brought together by their connecting desires to die, this book pulls from the start and doesn't stop twisting the reader until the very end. Throughout, the question lingers whether these four teens will fulfill the end of their pact and commit suicide together once they reach their final destination or if their time together will give them reason to want to live. Owen is the narrator for this story, giving the reader stark insight into his life and forging a strong connection from it. He is very introverted and quiet, speaking only at certain times and otherwise remaining in the background though this striking feature of his personality was diminished slightly by his narrator status, as his constant stream of thought created a lapse for the reader between what was internal and external. Owen harbors one striking secret of his own, one that drives much of his behavior and mannerisms in a very heartbreaking but understandable way. His motivations and mindsets are very well portrayed, easily allowing the reader to understand why Owen believes things would be better if he simply faded away. His constant pain and hurt, hidden in the shadows of his insistence that he simply doesn't feel things much anymore, create a very empathetic, lovable character that stands out. Audrey is brash and bold, telling things like they are and not caring if people get upset. She is manipulative and snarky but there is a very obvious pain lying underneath that slowly comes out and shows up at unexpected times. She develops a certain kinship with her car mates but her interactions with Owen are more clear than with Frank and Jin-Ae. Though she comes off rough at first, Borris does a fantastic job showing the very likable side of her and creating someone the reader will root for as much as Owen. Frank is rough in a different way than Audrey and though he is the driver and just as integral to the plot and road trip as the others, his direct interactions with Owen are mildly lacking and therefore much of his personality and his reasons for being there aren't shown. In truth, I admire this facet of the plot as it shows how introverted Owen is- how he doesn't even take the time to get to know Frank even in a tightly closed trip like this. Frank, like Audrey, is a character that is both hated and appreciated, doing many jerky and idiotic things but the same underlying pain and desolation resides in him as the others. Jin-Ae is the final teen in this set, having her own reasons for wanting to die that are very real and ones that many teens struggle with. Borris handled her situation delicately and phenomenally, showing many insights into her despite Owen being the narrator. She had a rough exterior but not in the same way as Audrey, with hers being bred from a life of secrets and worry. Her personal growth and development was noticeable and her relationship with Owen from knowing him in person before the trip began helps build this. The plot is, at its base, simple: four suicidal teens taking a road trip to visit graves of people who have committed suicide before they finally finish what they ultimately want. As it pans out, however, is far from simple, filled with intense, raw emotion, intense situations, and gut wrenching twists and turns. Borris weaves a remarkable tale of depression and pain, guilt and loss while bringing the reader along, allowing them to strongly feel what these characters, especially Own, do. His writing is bold and very beautifully portrays Owen's personality and characterization. Overall, this is a very compelling read which will keep the readers engaged and rooting for not just Owen but all four characters, hoping they can find the human connection they yearn for. 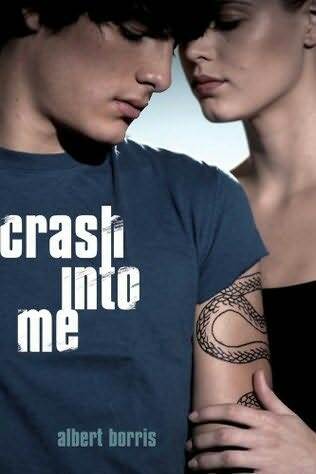 Very realistic, emotionally charged characters and a shocking but pulling premise, Crash Into Me is a read well worth it. It ends in a fantastic place, giving the reader closure while still keeping the final events in mind and instilling lasting questions and thoughts.